This is a zip file of 4 .png clip art files. Two are black and white and two are in color. 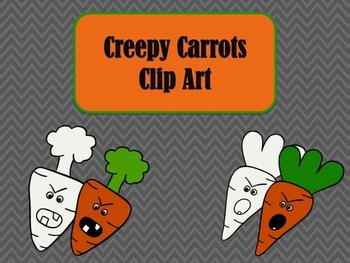 They go along with the book Creepy Carrots. Feel free to use them for personal/classroom use as well as for small business use including TpT products as long as you credit my shop.